As an eco-conscious family, we were appalled to learn that 20 million sandwich bags enter U.S. landfills every year! We prefer to use reusable bags in our on-the-go lunches and our new favorite is LunchSkins. LunchSkins has a wide selection of snack, sandwich and sub baggies that can be reused over and over again. What immediately captured my attention is that all LunchSkins reusable bags are BPA-free, lead-free and phthalate-free so I can feel more confident that my family’s food is not going to have dangerous chemicals, toxins or additives leached into it. 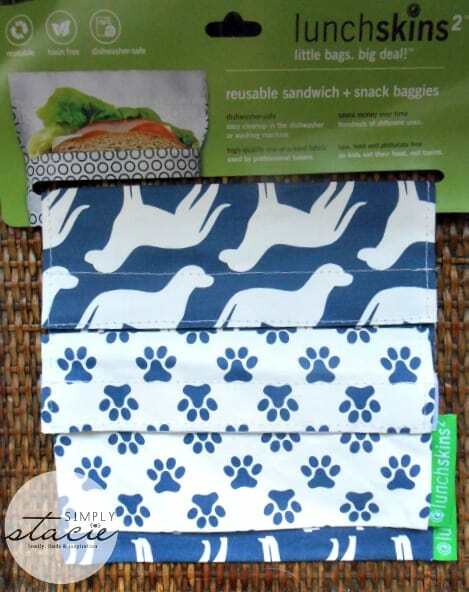 All of the bags and especially the reusable sandwich bags ($8.95) are designed to be very durable and are even dishwasher-safe for busy families. I simply wipe the bags with a clean cloth and let it air dry though I did try it in the dishwasher and the bags came out clean. I love that LunchSkins are designed uniquely with food-safe fabric that is often used by pastry chefs so they are grease and moisture proof! The hook and loop closure works great and everything stays in place until it is time to eat. My kids and I love the fashion forward vibrant colors and designs. A few of our favorites include the Navy Shark, Tangerine Orange, Aqua Crab, Red Bird, Green Lizard and Berry Flower. These handy reusable bags can even be used for things other than food storage such as holding crayons and I have one in my purse to keep my lipsticks organized for easy access. 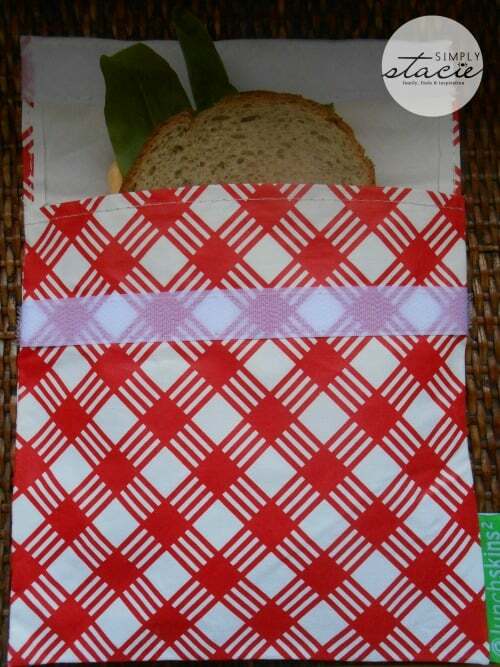 I especially like the convenience of the LunchSkins2 multi-pack ($10.99) which includes one snack bag and one sandwich bag in coordinating patterns. LunchSkins are a great idea and you can purchase this product line at all Target stores in the food coller and water bottle aisle! You are also invited to visit LunchSkins where you can purchase products online and have it shipped right to your door…….check out the free shipping on order of $50+! Connect with LunchSkins on Facebook and Twitter. ok i want some of these..
we have cut down on the use of plastic baggies by using containers, but this would eliminate them altogether! These look great, will have to see about finding some of these. Lunchkins are great and I have given them as gifts! Wow now these are neat!! I need to buy some of these for lunches in this house! These are awesome! My grandkids use these on a daily basis! I have a few of these bags and LOVE them – they clean up well after use & I feel great knowing I am not creating waste with a plastic bag! What a great idea! I like to use reusable whenever possible, and this is such a cute option. These are so cute!! Would love to try these! Wow what an awesome idea!!! And SOOOO cute! These are awesome! Love the prints too! 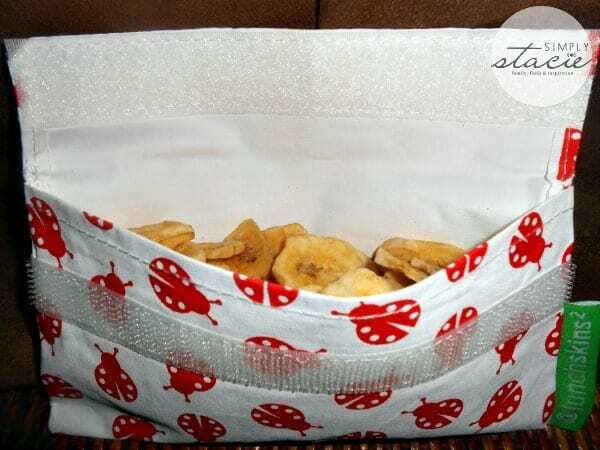 This is a great idea, and I love that it comes in different prints so your kids can feel “stylish” and “cool” bringing their lunches in these eco-friendly bags. The fact that they are dishwasher safe is a huge bonus to moms – and everyone, I’m sure. This is a wonderful idea! So much better for the environment and easier on my bank account. I will definitely have to look into this.